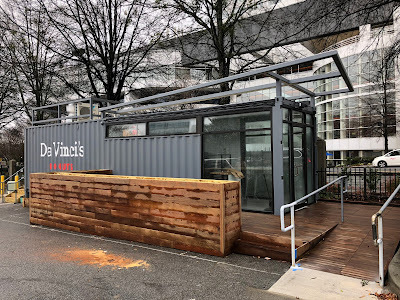 Da Vinci's Donuts is now open in a converted container in the parking lot of Lenox Square. The eatery is located at the corner of Peachtree Road and Around Lenox Drive, close to the Westin Buckhead. The new shop joins existing locations in Alpharetta, Sandy Springs, Dunwoody and Suwanee. The Dunwoody location closed Tuesday and will remain closed through Thursday to complete a renovation. The eatery will celebrate its "grand reopening" this coming Friday the 25th with a free small coffee and donut from 6:30 am to 10:30 am. No purchase necessary but at the Dunwoody location only. Clothing retailer J. Crew confirmed last week that their store on Broughton Street in Savannah will close for good Sunday January 27. The retailer opened in September 2014. The store was one of many to open on Broughton Street after developer Ben Carter began a $100 million project to revitalize the corridor. The Savannah store is one of six the retailer plans to close as it tries to "right size" its store fleet. Of the closures, two thirds are in the south, with J. Crew stores also closing at Haywood Mall in Greenville, South Carolina, West Town Mall in Knoxville, and Perkins Rowe in Baton Rouge. Pet Supplies Plus at Cheshire Square at the corner of LaVista and Cheshire Bridge Roads is closing. The franchisee owned store is set to close sometime in February with liquidation sales now underway. The 8,455 square foot space in the Publix and Tara Theater anchored shopping center is already being marketed for lease by center owner Halpern Properties. The Atlanta Dance Academy(TADA) previously opened in the former independent grocer Return to Eden. Two other Atlanta area franchises of Pet Supplies Plus will continue to operate, one on South Cobb Drive in Smyrna, the other on Shallowford Road in Marietta. Local Cajun eatery Louisiana Bistreaux plans to open its third location later this spring in Buckhead. The roughly 5,600 square foot restaurant will open adjacent to the recently debuted Hampton Inn & Suites, at 3312 Piedmont Road. The restaurant features traditional Cajun fare like crawfish and shrimp etouffee, Cajun jambalaya, BBQ shrimp and seafood gumbo with andouille. The original Louisiana Bistreaux, which opened in 2015, is located on Virginia Avenue in East Point near Hartsfield-Jackson airport. A Decatur area location opened in Suburban Plaza alongside Tabi Sushi in 2017. Popular caterer Beto's Tacos has found a permanent location for his popular street tacos. A brick & mortar Beto's Tacos will open in a former Jersey Mike's Subs in Main Street Commons along Lawrenceville Suwanee Road in Suwanee. The giant new Shell gas station and convenience store has opened at the corner of Roswell and Powers Ferry Roads in north Buckhead. The rebuilt gas station and convenience store has been in the works for years and also features an onsite Dunkin' Donuts. Cafe Posh at Hanover Buckhead Village in Buckhead has quietly opened. The restaurant, which will eventually offer dinner service, is currently on a "soft open," offering only breakfast and lunch service. The restaurant relocated from Fountain Oaks shopping center in Sandy Springs. 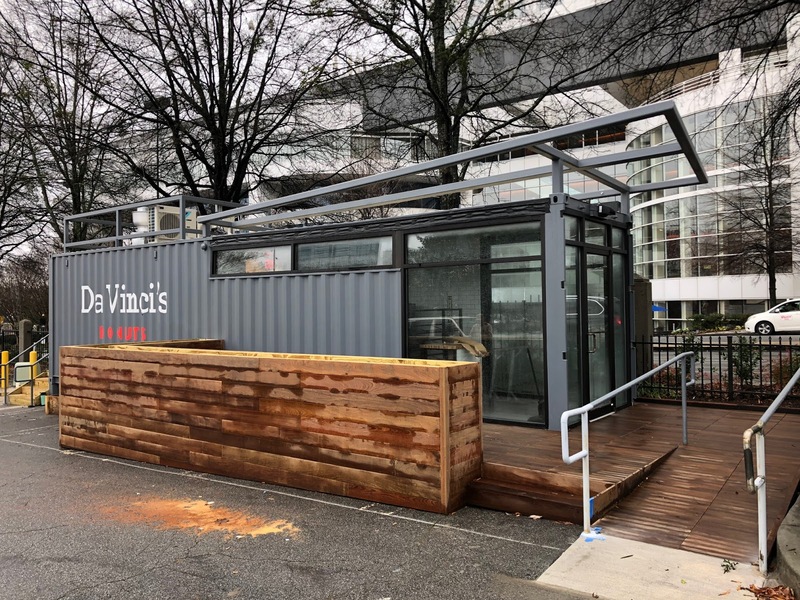 At Hanover Buckhead Village, Cafe Posh joins the already open cookie shop Tiff's Treats and will be joined by a Buckhead outpost of Castellucci Hospitality Group's The Iberian Pig in March. Quick-serve salad joint Salata will open its seventh Atlanta area location this coming Friday Jnauary 25. The new eatery is located in the new Peachtree Corners Town Center development off Peachtree Parkway in Peachtree Corners. The eatery, which is essentially a scaled down version of Sweet Tomatoes, sports a new logo and tagline at the new location. The previous tagline "The Next Generation Salad Bar" has been replaced with "Salad Kitchen." The Deer and The Dove is slated to take over the space formerly occupied by Cakes & Ale on the square in downtown Decatur later this spring. Cakes & Ale closed last June after ten years in business. Side Bar, a separate concept, will take over The Bakery at Cakes & Ale, serving coffee, wine, cocktails and sandwiches. The dual projects are a joint effort between Wrecking Bar Chef Terry Koval and his wife Jenn Koval and George Frangos of Farm Burger. A new Mediterranean eatery called Shawarma Non-Stop has opened at Brookwood Village along Peachtree Road, across from Piedmont Hospital in south Buckhead. The restaurant, situated in a tiny 600 square foot space, replaced Roots Juices, which closed last year after less than two years in business. The original Atlanta area Roots Juices remains open at The Shops Around Lenox near Lenox Square. Shawarma Non-Stop is a quick-serve eatery from the owners of the adjacent Fresh 4 U Mediterranean restaurant. The new eatery offers build-your-own pockets (stuffable pitas), plates, and salads, with choice of chicken, steak, shrimp, baked fish, or veggies. In Brookwood Village, Shawarna Non-Stop joins anchor CVS Pharmacy and existing restaurants like Gusto!, Yumbii, and Black Bear Tavern, among other tenants. Kimpton Hotels & Restaurants has taken over management of the 214 room hotel previously known as Solís Two Porsche Drive at the Porsche Experience Center in Hapeville. The upscale but rather unexciting hotel opened in 2017. The property is now known as the Kimpton Overland Hotel. For Kimpton, the property marks the brand's return to metro Atlanta following their 2011 departure from the Hotel Palomar in midtown. The Hotel Palomar, a popular Kimpton flag, opened in 2009 but was replaced by a Reniassance by Marriott in 2011. Kimpton, owned by InterContinental Hotels Group (IHG), with North American headquarters in Dunwoody, has just one other hotel in Georgia: the Kimpton Brice Hotel in Savannah. Why did the Solís change to the Kimpton Overland Hotel? Did they not meet Solís expectations? Davinci's Donuts are made from a mix and aren't very good. I'm surprised the Alpharetta location, which I believe was the first, is still in operation. @Anon 9:09PM - I assume all donuts made in volume are made from a mix. I assume it's a proprietary mix. If I owned a donut shop, I would have my flour, baking soda, etc. all mixed together so it's ready to use. That being said, if they don't taste good, that's too bad. But the fact that it's a mix isn't an issue. It isn't like they pop open a box of Duncan Hines. There's a Pet Supplies Plus in Acworth on HWY 92. Always has good prices and coupons available. Much cheaper than PetSmart for food and toys.